The weeks immediately following the holiday shopping season have been marked by store closings. Sears announced it will close another 150 Sears and Kmart stores. Macy's announced it would shutter 68 stores. While holiday sales disappointed at some of the oldest names in American retail, online sales hit another record. 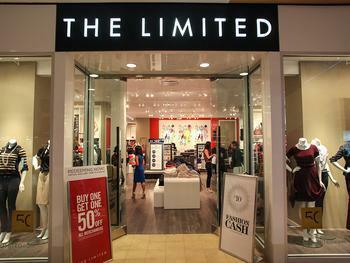 Now, The Limited is the latest victim of the trend, announcing it will close the last of its 250 stores after a disappointing holiday season. The remaining inventory will be sold at its website, TheLimited.com, with everything marked down at least 50%. In a message posted on its website, the company made clear that it isn't going out of business, just changing its business model. It's still in the retail clothing business, it just isn't setting apparel out of stores any longer. “The styles you love are still available online - We’re just a quick click away 24 hours a day,” the company said in its message to customers. Does that mean the brick-and-mortar retail store is going the way of the dinosaur? Probably not. But it does mean that in the future, there will be a lot fewer stores where you can go in, handle the merchandise and take it home with you. But it isn't just consumers' preference for online shopping that damaged The Limited, and other retailers that have lately been forced to close stores. Liz Dunn, CEO of retail consulting firm Talmage Advisors, told The Washington Post that The Limited has lagged in the markeplace because if hasn't been able to stay on top of trends. Dunn said consumers want fashion that is both “hyper-relevant” and inexpensive, and apparently weren't finding it at The Limited. A 2015 study by iVend Retail suggests there is hope for brick-and-mortar retailers who find ways to remain relevant. The authors said there will always be demand for a physical location where consumers can handle or try on merchandise, and take it home with them without having to pay for shipping. But stores are expensive things to operate. And as existing brick-and-mortar outlets face growing competition from online channels, companies will continue to weed out unprofitable stores, while some companies may disappear altogether.